Emergent, Canada’s leading experts in document creation and file management, will exhibit their innovative software in Halifax on May 17th-20th, 2017. 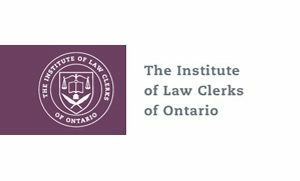 Hosted by the Institute of Law Clerks of Ontario Conference (ILCO), the industry leader will show visitors how to increase efficiency with time-saving technology. Mississauga, Ontario, Canada - April 19, 2017 - Created for law firms, paralegals, law clerks and in-house counsel, Emergent is set to exhibit their line of automation software products at the annual ILCO Conference. The innovator of Canada’s first software suite for law firms and pioneer of the Virtual Minute Book will be available for one-on-one consultations. Held at the Halifax Marriott Harbourfront Hotel on May 17th-20th, Emergent will bring attention to their Corporate Manager ET, Estate Planning & Vault Manager, Estate Administration, and WindUp Estate Accounting & Tax software programs. The heavy hitter, however, will be the Corporate Manager ET. Corporate Manager ET is lauded as the most comprehensive and robust corporate records management software in North America. The software is specially designed to generate and maintain all minute book documents as well as provide efficiency-based features. These features include wizards that allow the formation, organization, and maintenance of director, officer, and shareholder information. Corporate Manager ET also amalgamates/merges entities and automates the generation of task-oriented documents some of which include annuals, organizations, and renewals, etc. Adding to their commitment to customer service and ongoing education for their software products, Emergent offers over 200 free webinars yearly. The product refresher courses give integral information on how to best use the industry leader’s entire product line. Available for free sign up via their website, the webinars also introduce products not already in play as well as all available training for them. For more information visit about the free webinars, visit the www.emergent.ca home page. For more information about ILCO visit www.ilco.on.ca. Emergent is based in Mississauga, Ontario, Canada and provides the marketplace with document creation and file management software. The software is available on a fee-per-file basis. Some of their products include Canada’s first two-way integration for Initial Notice/Notice of Change filings for corporations in Ontario, and software for the integration of corporate records, wills and probate.